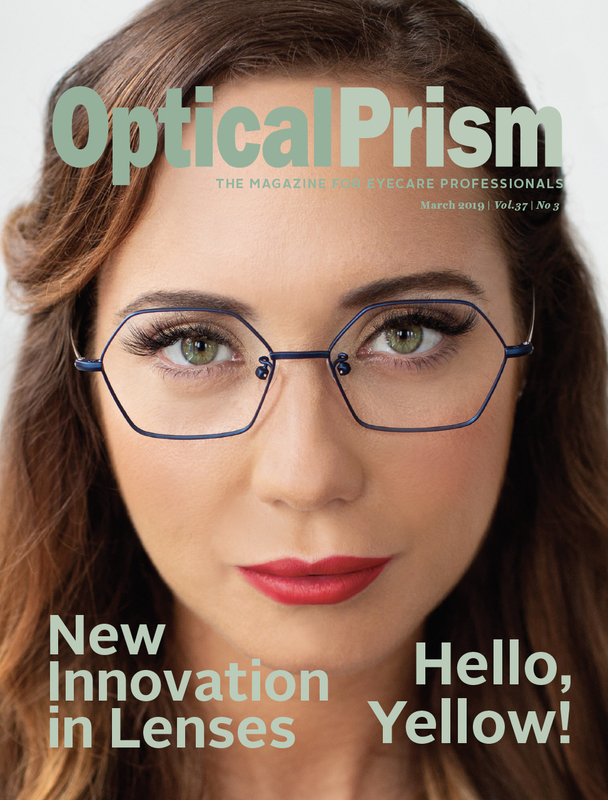 Eye-Lids are on the cover of the February 2017 Optical Prism Eye Focus e-magazine. When Quebec mom Lyse-Anne Roy found out that her three-year-old son Zacharie would have to wear a therapeutic eyepatch, she began researching what products were available on the market. “They were cumbersome, unattractive and poorly adapted to a child’s day-to-day life. 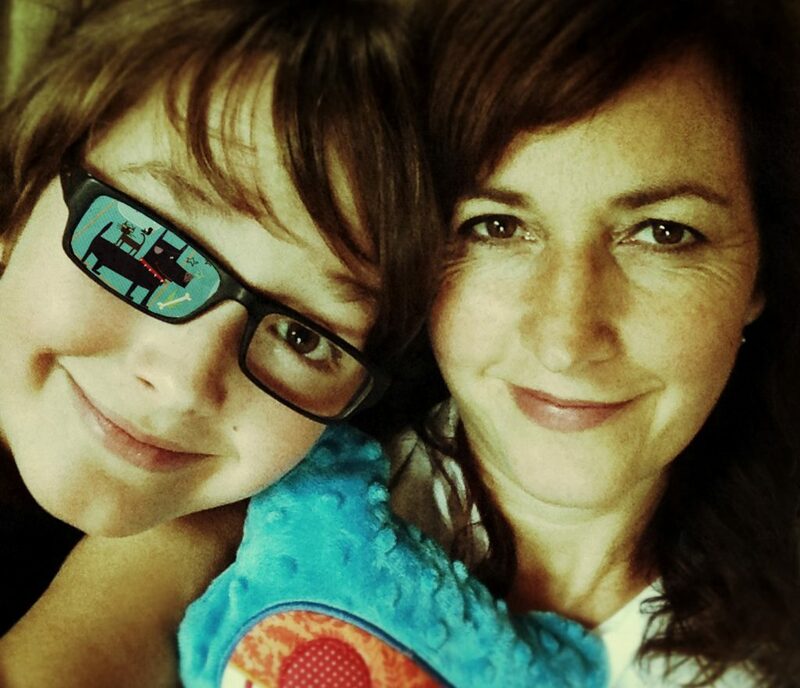 I didn’t want an eyepatch that drew attention to my son’s medical problem,” she says. Dr. Patch’s Lyse-Anne Roy and her son Zacharie. 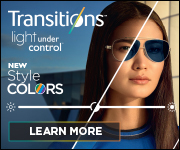 So Roy, a graphic designer by trade, invented Dr. Patch, a reusable, residue-free patch that is affixed directly on the eyeglass lens. She began selling the product in 2009. 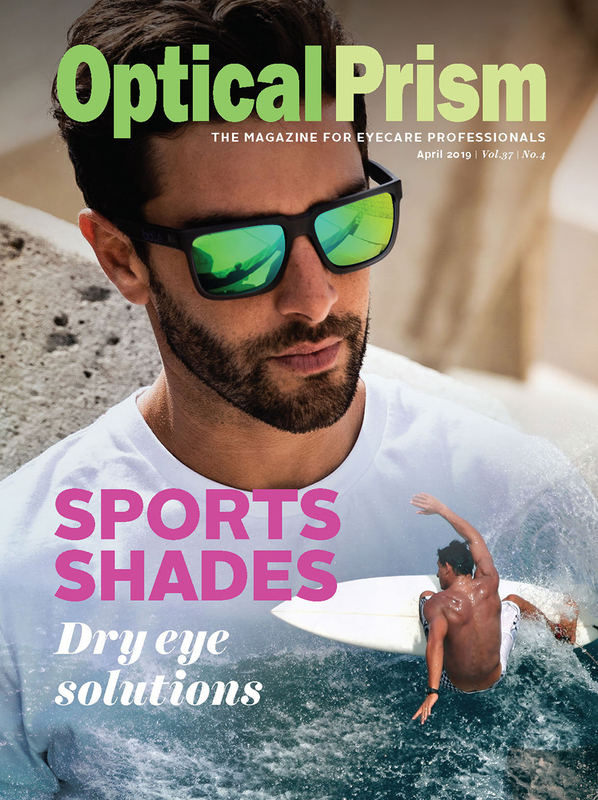 Two years ago, Dr. Patch launched a new total occlusion eyepatch, which is a silicone product that attaches to the inside of a lens with a suction cup. Self-adhesive, reusable eyepatch stickers can then be added to the front of the lens for a cool, fun look. “We have cool eyepatches that are comfortable, unique and reusable,” says Roy, president of Dr. Patch. There are many cool sticker designs to choose from — everything from kitten and puppy-themed patches to Christmas-themed stickers. The company also makes patches for adults. 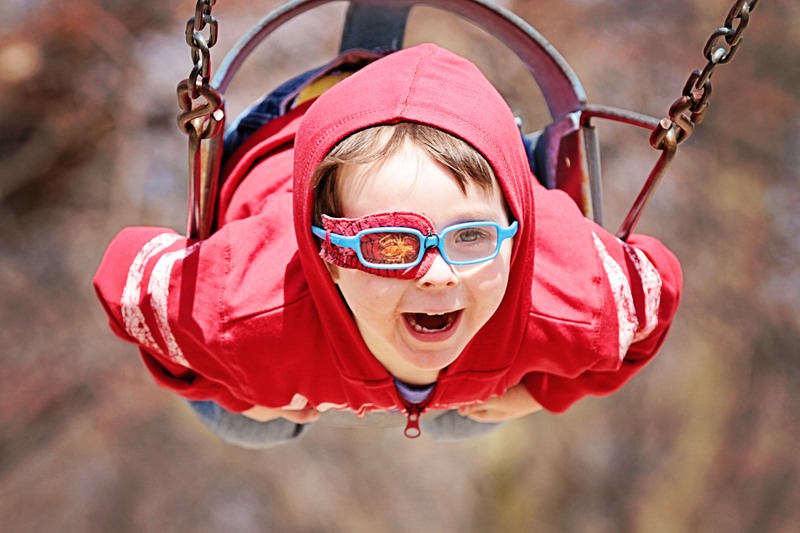 Patching is a way to treat amblyopia and strabismus. 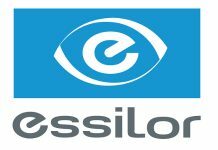 The treatment is designed to force the brain to acknowledge data received from the problem eye. 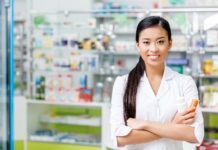 Visit www.drpatch.ca to find out more. The Ontario-based company Eye-Lids manufactures and sells washable flannel eye patches in many cool designs. There are a few types of patches, ones that attach to glasses – with or without nose pieces – and a pirate style that includes a soft elastic band. The most popular styles include Spiderman, Batman, sports, glitter dots, Frozen and Paw Patrol. Visit www.eye-lids4kids.com for more information. 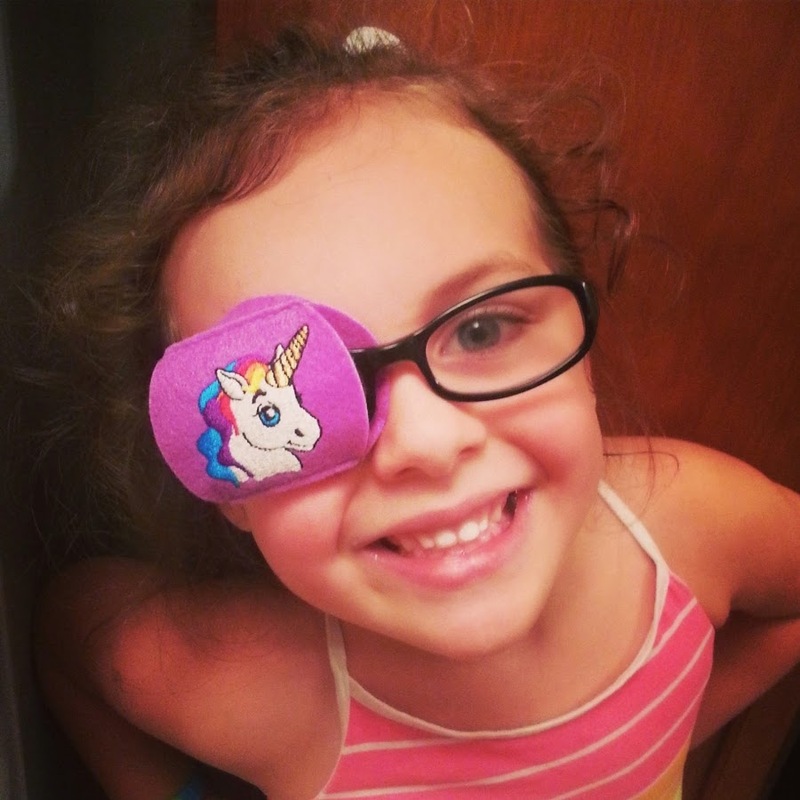 Like Lyse-Anne Roy, Iowa mom Cathy Thompson began designing and selling colourful and fun eye patches for kids after her child was diagnosed with a condition that required patching. Thompson created Patch Pals, which now sells a variety of patches for babies, children and adults. Children can choose patches in their favourite colour or with designs like butterflies, dinosaurs, flowers and sports. “We created Patch Pals and we made them colourful with fun designs, so when Mackenzie went out in public people commented on how cute her eye patch was, not the fact that she was wearing a patch,” says Thompson. 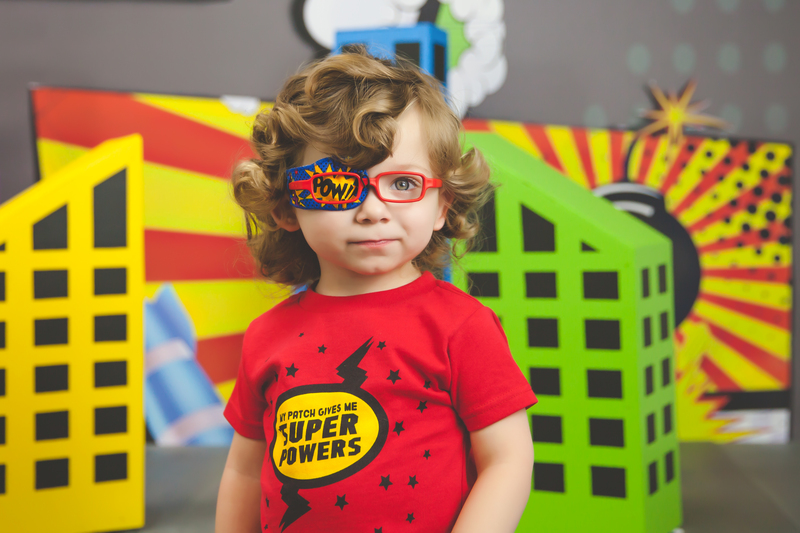 Patch Pals offer an eyeglass eye patch, pocket eye patch, cotton eye patch and a poggle eye patch. Visit www.patchpals.com for more information.